MP Damian Collins, who chairs a committee investigating fake news, said it was the "tip of the iceberg". 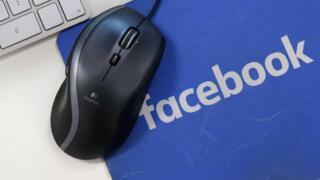 The company said the pages "engaged in hate speech and spread divisive comments on both sides of the political debate in the UK". "They frequently posted about local and political news including topics like immigration, free speech, racism, LGBT issues, far-right politics, issues between India and Pakistan, and religious beliefs including Islam and Christianity. "We're taking down these pages and accounts based on their behaviour, not the content they posted. In each of these cases, the people behind this activity coordinated with one another and used fake accounts to misrepresent themselves, and that was the basis for our action." Image caption Another Facebook post tried to insult "leftists"
Facebook said it had not completed its "review of the organic content coming from these accounts". Separately, the company has also removed 31 pages, groups and accounts for engaging in "co-ordinated inauthentic behaviour" in Romania.